Building Your Platform? Watch for This First Step—It’s a Doozy. Platform. Back in the day, it was some little construction I’d see a “crazy person” on State Street standing on to stand out. He’d shake some book to the sky and yell “the end is nigh, the end is nigh.” He got people to notice but no one’s attention. Today, platform is something too many have been told, “if you don’t have at least 20 or 200,000 or l0 million people following you, you’ll never sell.” No matter how great your idea. Your book. Your project. It’s your first step. Ouch. Yes, we all need a platform. The platform is not the devil. It can be fun and exciting to watch our numbers go up and up. We know the line, “it’s all a numbers game.” But if you are writing content, you’re not in the numbers game. You’re in the word game. All you’ve got is 26 letters and a myriad of ways to use them. Are you giving yours their best shot? That is your first step. Yes, “the numbers don’t lie.” But they don’t tell the truth, either. They tell facts. The truth is the kind that touches the soul. It taps into an awareness people did not know they somehow knew. It can impact changes that are both visible and invisible. In a big way. And it can make, break or regenerate your business. It may sound beyond obvious, but it’s so very often missed. The way to build a platform is to have something worthy of people’s attention. Powerful content. Extra effort. Often another set of eyes and ears. That’s just the truth of it. People who succeed with it know there are no shortcuts. Plenty of rewards. And an organic flow once you tap into the story that’s truly yours. So, please before you spend another block of time looking for more followers, look to what it is that may make an impact on people. That’s your first step. Miss that one and no matter how great your idea or message, the fall hurts like hell. Ask yourself, is this the best I’ve got? Have I asked myself the right questions? Do I even know what they are? What do you know that you know that nobody else on this planet knows but you? What are you afraid if you say, if you stand for, people will think you are crazy? What if your “crazy” is your most valuable asset? Because it is. It’s your stand. Put your attention there. And you may have your best chance of getting and keeping your platform upright. Maybe not for everyone. But for everyone who needs you. If you feel you’re struggling or wasting your valuable time, I can help. Thirty-one years ago this month, my first book was published. It happened to come out the same day as my mother died. 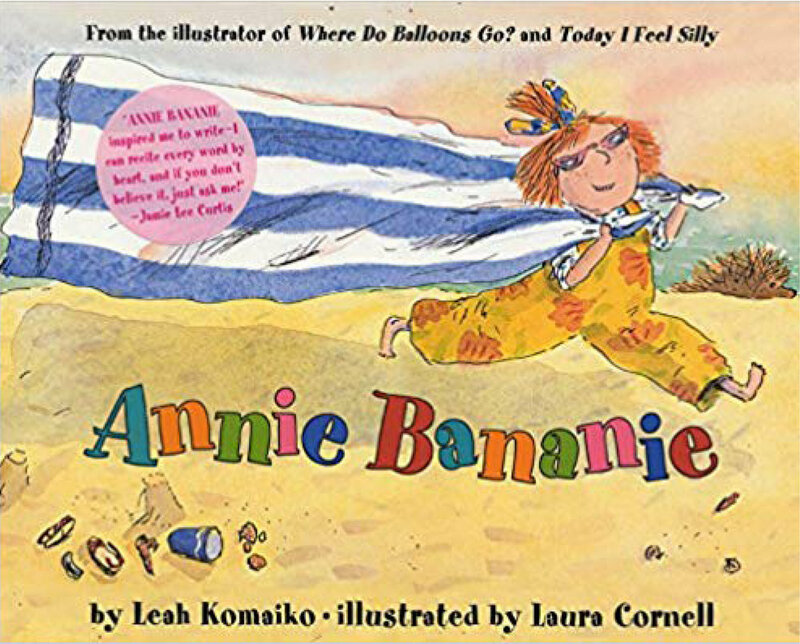 It was an immediate bestseller called Annie Bananie. I’m not suggesting a dead parent is a first step to creating a bestseller. Or that I know “steps to” doing that. But my story speaks to authors or business owners who need story to survive about what you can’t control. Which is pretty much everything. Nobody knows what’s going to hit. Especially on a first book, project, speech or business. Annie Bananie was the third book I wrote. It took me 2.5 hours to write it. I’ve been earning money from it for 31 years and hopefully counting. But what I took away from writing it has been my primary inspiration, skill and tool for my other books, coaching others and being a brand and story strategist for many start-ups and some big brands. Which is a deep respect for the simple and the value in our voices. As creative people over 30, we’re culturally wired to the notion that to create you must suffer. I’m not saying it doesn’t take some work. But we don’t trust what might come easy. When I finished Annie Bananie, I threw it in the trash before finally sending it to an editor. Embarrassed. Writing that book slid the voice right out of me that resonated a deep chord in a remarkable way with millions of people. That story became their story. Their voice. Even more than mine. I still can’t believe it. People come to me to find clarity and purpose so they can show and tell a unique story. And together we discover that without voice first there is no story. It takes effort to get there. The right voice for the right story. You get to have more than one. You get to be the difference for others you’re here to make. Worth it. Talk about a way to wake up! Mariella Scott and Anita Sun were seeking a 350,000 investment for their Lace Face Facial Peel Masks. The founders came to me in late 2016. To be clear, they had a great product. They had just gotten traction in a big store. 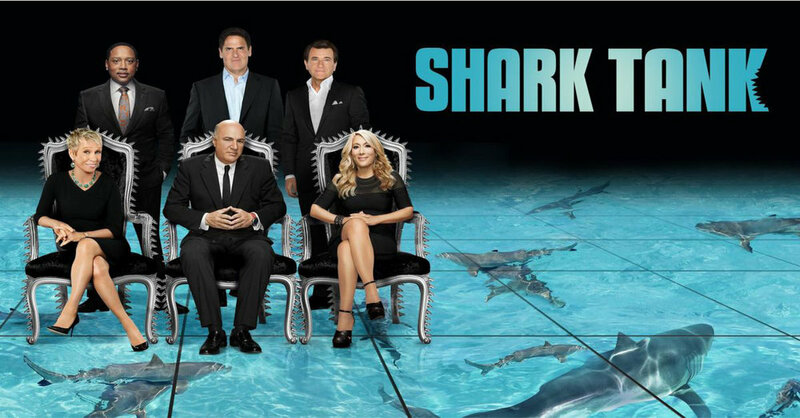 They had business savvy, background, and enthusiasm that wasn’t going to let them quit. They were also incredibly kind and eager to learn and keep growing. What they didn’t have was the right story. Like most, they were so busy creating their new product they didn't really realize what they had just created. And they could feel it was stopping them. They wanted to become a brand. What they didn’t want was to appear in public wearing the Lace Face masks. That’s what models were for. You can build awesome products or services that can become a brand and then prefer to hide out behind it. Most of us do. That’s why most of us aren’t brands. Now, I was watching these two lovelies, who didn’t want to model Lace Face for an in-store presentation at Nordstrom, apply their masks on National TV. They weren’t naturals, they weren’t slick. But they were doing it their style. Laughing and loose. Their pitch lit up. The founders are very active women who love skincare and want to transform how other active women could get excellent facial treatments. A year and a half ago, Anita was about to become the new mother of twins! Our stories are often as close as our own faces. But it’s not easy to see our own face without looking into a mirror. Be the story you’re here to tell. Then watch it grow and breathe. Like life! Why I Start with What’s Your What? In 2013, Simon Sinek, the author and speaker, published, “Start with Why.” He shined a light on story. We learned successful business people first know their "why”. Your why is your purpose, your reason for being, and for getting out of bed in the morning. I admire his work. And in developing my own books and my branding business over the last 25 years, I’ve discovered that starting with “what” can be a more potent question. Your what is your personality, who you are in the world, and your joy. I got my start as a bestselling kids book author and made the unlikely first move into branding with a Fortune 100 company because I saw that what makes a classic kids book is the same thing that makes an iconic brand. Why is a question that looks first for its answer to your head. What looks straight to your heart. Brand = heart first followed by head. So here’s my question: what’s the first book you were read as a child? Likely this isn’t something you have thought about recently so give it a moment. What was the first book you loved? Maybe you asked to have it read over and over although you had l00 other choices of books on your shelf. Can you remember resonating with a character in the story? Maybe the hero? Was it a happy memory? Maybe not so pleasant? Either way, are you willing to consider for just one moment the influence this character/story had and continues to have on you today? 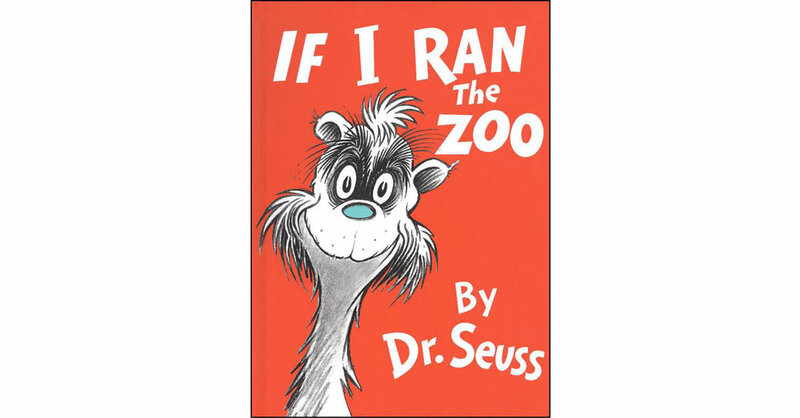 My book is If I Ran the Zoo by Dr. Seuss. I can still feel myself feeling as Gerald McGrew, the hero, certain good was good enough. But if he had his way, he would make it even better. He saw more possibilities than anyone else could see and strived to make those real. This is not about resurrecting your inner child. It’s not about remembering Captain Underpants and then running around the office in your skivvies. It’s about reconnecting with what fascinates you. In my case, I don’t work with a client or have a discovery call without hearing possibilities I know they are not yet aware of. I have seen or listened to people’s voices light up before me, transformed, without their even knowing it the minute they recall their book. I’ve watched how they quickly go on to answer any remaining why’s, develop a strong voice, rebrand, refuse to curb their enthusiasm and in some instances get New York Times bestsellers, start-ups, or go on to sell their company for a half billion dollars I’ve heard titles from Go Dog Go to Matilda to Goodnight Moon to an exec who never had a story read to him. But he watched Kurosawa movies when he was four. Show me that story and I’ll start showing you your brand.